Home Why Quickrecharge for recharge application development Why Quickrecharge for recharge portal development Why Quickrecharge For Recharge Portal and Application development? 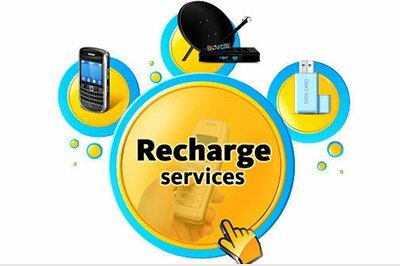 Quickracharge is the unit of HTSM Technologies Pvt Ltd (A Kolkata based web design and development company) and Quickracharge is a brand business for providing recharge business solution. We offer 1 to 10 solution for a recharge business including domain registration, hosting, design, development, API, master distributorship and retailer ship. There are less competitor in India who offer same service through single domain. So if you are planning to grow your own recharge business then connect with quickrecharge for your business success. We are oldest in market who offer A to Z solution for a recharge business. We have multidimensional idea for success a recharge business. So to beat your competitor you need to contact with quickrecharge. We have multi talented expert team for designing, developing website and application. Our team dedicatedly handle your business and delivered you on time bound without any error. We move step by step with a proper plan so it is less chance to miss out any point. We avoid copy and paste technology because we know it effect your business when you promote your business for search engine. Search engine dis like a copy site and throw it at the footer of search engine ranking page. So develop your recharge site by expert. We offer recharge portal and application development at affordable price from the market. No one can compare our quality service with price. If you find a lower price with same quality at market then it’s our Guarantee we will beat it. Our standers price for developing B2B and B2C recharge are 60,000 and 40,000 along with free recharge and money transfer API. Combined B2B+B2C is available at 80,000. Last year we face lot of hacking atamp to our recharge panel that effect our business and since we cover our portal with high security tools and same tools we integrate to our clients portal. So after all you get secure portal with creative design and development.